Make our Christmas Trees your Christmas Tradition! FREE Hot Cocoa and Cookies by the Fireplace! Our Tree Farm is located at the Corner of Parker and Cole Roads in Palmyra, NY. 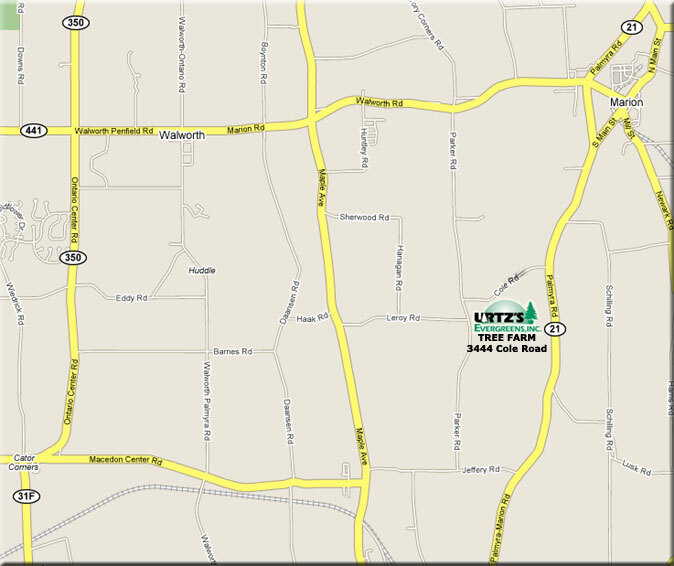 Click map to obtain directions to our tree farm from your location at Google Maps.